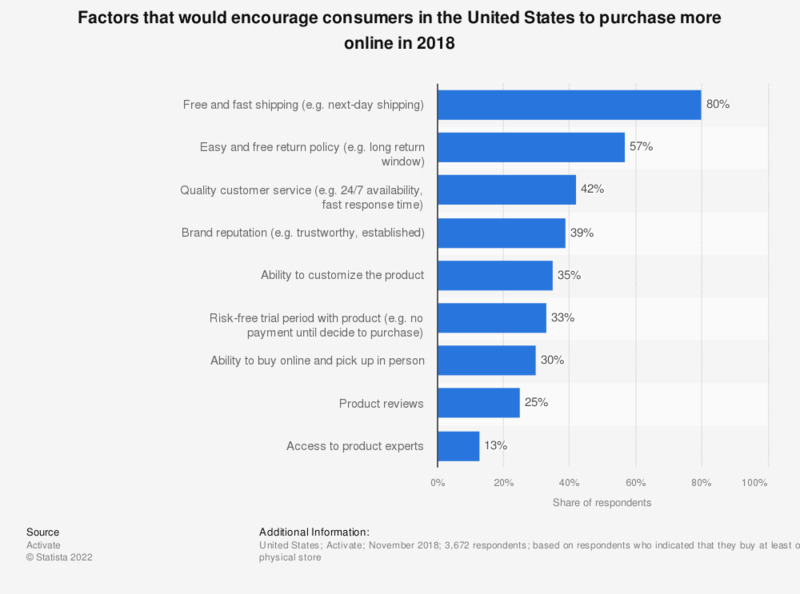 This statistic presents the factors that would encourage consumers in the United States to purchase more online. According to the 2018 findings, 80 percent of respondents reported that the leading factor that would encourage them to shop more online was the increased availability of free and fast shipping. Additionally, 57 percent of respondents stated that easy and free return policies would encourage them shop more online versus in brick and mortar stores.